Japan is spending $150 million to allow US Navy pilots practice aircraft carrier landings on a small Mageshima Island, but nearby residents, who were never given a chance to debate the deal, are unhappy about it. The US and Japanese governments have been interested in Mageshima Island as a new site to run the training exercises, known as field carrier landing practices, since 2011, but have only recently been able to seal the deal. The uninhabited 8km-square island is part of the Ōsumi archipelago in the East China Sea. 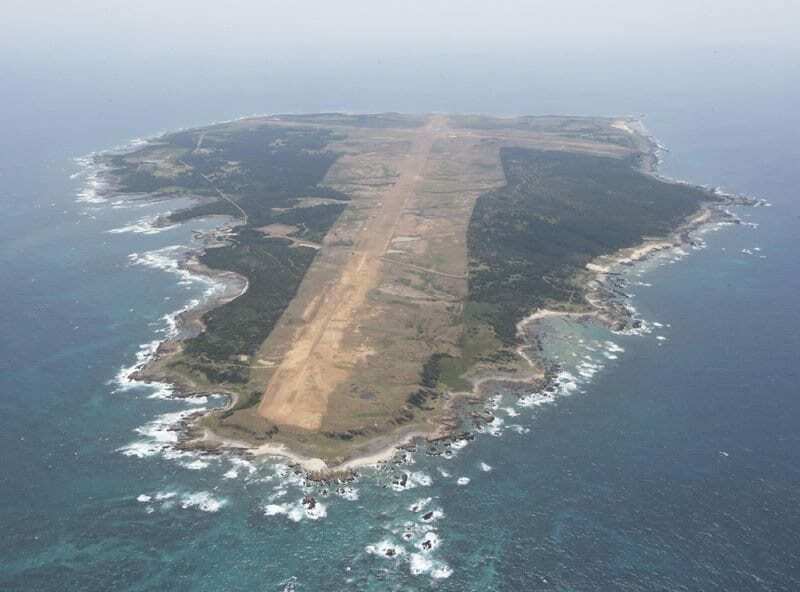 While the island is administered by the city of Nishinoomote on nearby Tanegashima island, it is owned by a Tokyo-based development company, which the government negotiated with. These aren’t the first such American drills, which involve fighter jets taking off and landing on a strip of land made to resemble an aircraft carrier, that have caused resistance of the Japanese. The drills were originally held at the Atsugi naval base in the Kanagawa Prefecture, but the sound of jet-powered aircraft taking off repeatedly caused so many complaints they were eventually forced to move. Iwo Jima Island, which is incidentally the site of one the bloodiest battles between Japan and the US during the Second World War, has been used to conduct the drills since 1991, but the US considers the base too far away from an alternative landing site in the event of emergency weather conditions. The new site is conveniently located just over seven miles from Nishinoomote. However, it appears that neither the US military nor Tokyo bothered to ask the opinions of the locals, who say they have been given little information about the deal. “So far there has been absolutely no explanation in town; we know nothing about the specific details of the arrangement…various concerns such as noise should be considered, and I worry that there will be further expansion later,” said local city council representative Hiromi Nagano, who opposes the transfer. The city’s mayor, Shunsuke Yaita, also released a statement on the issue, stating that he believes there are “more suitable ways” to use the island.